We exist to welcome students to belong through powerfully loving relationships that that move them toward their God-given purpose. We exist so students can Belong, Be Loved, Be Purposeful. Grace Bible College is dedicated to keeping education affordable for our students. Here are some important details about our costs: – Grace Bible College is the MOST AFFORDABLE private school in West Michigan. – In 2016 100% of our first time freshman received additional aid from Grace Bible College. – $1.6 Million of institutional scholarships were given away to our students in 2016. 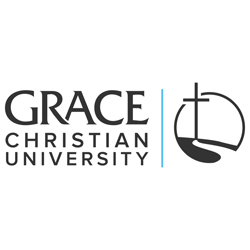 – Based on the national average tuition, Grace Bible College is 59% less expensive than other private schools. Students with a GPA lower than a 2.5 may be asked to submit a written essay and/or an additional recommendation. Please complete the form on the right to request more information from Grace Bible College.